are like a dear friend comforting you during your time of grief. For you in your time of need or as a caring gift for a friend. Just as I found comfort in listening to a special music CD as I grieved for Pepper, I hope that some part of this CD will help in the healing process for you or the person to whom you give the CD. I was further motivated on my journey to create this CD when my 13 year old dog, Zep, died just four months after Pepper. The loss of my dogs is what inspired me to dedicate this CD to my beloved dog children, Pepper and Zep. Karen Litzinger’s Journey with Animals: My inspiration for the Healing Hearts pet loss CD came while driving home from the veterinarian with the cremains of my 15 year old dog, Pepper, who I had since a puppy from a local rescue league. Originally I wanted to create something that a vet could give grieving clients right after the euthanasia procedure to supplement the personal support and follow-up sympathy card. I created a pet loss booklet for veterinarians, but the CD is what I hope will serve those experience pet loss grief in a more profound way. Bamboo & Hemp For Dogs! Bamboo and Hemp have been in the canine news a lot lately and with good reason. Hemp oil is touted for it’s nutritional value in supplements packing a high amount of linoleum acids, an omega-6 fatty acid essential for skin health to maintain a protective barrier between the outside and inside of the body. As an oil, hemp actually has a superior ratio of Omega 3 to Omega 6 fatty acids, with the Omega 3 component being in a higher, correct ratio to the Omega 6 fatty acids. 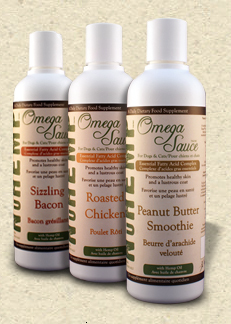 This actually makes hemp oil preferable and superior than flax seed oil, which has been long been the gold standard as an excellent source of Omega 3. Hemp is also able to be made into a strong durable fiber. Since hemp has natural antifungal and antibacterial properties it is ideal for dog collars . Hemp is a fiber that breathes and hemp is grown without the use of pesticides it is especially good for sensitive skin. Hemp is a sustainable crop; it grows well with out the aid of herbicides, fungicides or pesticides. Hemp can replace wood fiber and save forests for watershed, wildlife habitat, recreation, oxygen production and carbon sequestration-reducing global warming. For the most part, hemp is grown without pesticides because it is a much hardier plant which makes it less vulnerable to insects, pests, drought, mildew, and other poor growing conditions. Therefore, it is easier to grow organically without pesticides and other chemicals. In this regard, hemp is good for the environment and our bodies. • Breathable and thermal regulating keeps pet cooler in the hot summer! • No pesticides, insecticides, or fertilizers and nothing genetically modified. Truly the greenest fiber on earth! 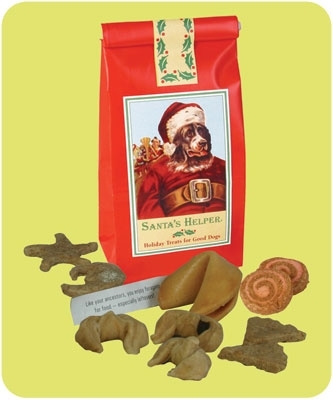 Have Your Dog a Green and Natural Christmas!